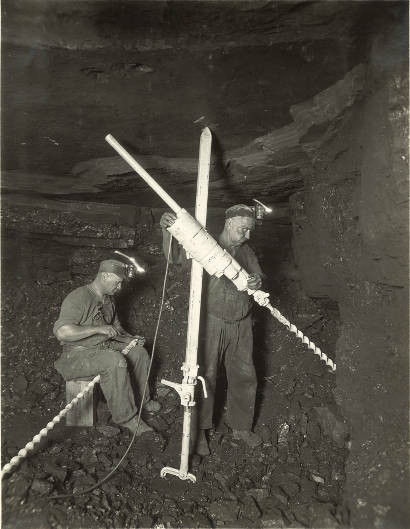 The BOWDIL Company began manufacturing coal mining equipment in 1923. Newton K. Bowman helped establish BOWDIL after patenting a coal cutting bit that was lighter and stayed sharper for a longer period of time compared to conventional bits. Over the years we have continued to grow our mining products to include useful equipment to mine minerals such as Potash, Salt, Trona and Gypsum. BOWDIL uses only the highest quality steel to manufacture our mining parts, tools and equipment. Having the capability to machine and heat treat in our own Canton, Ohio facility, we can ensure quality long lasting products. BOWDIL is a proud U.S.A. manufacturer.